Custom horsehair pottery is the art of firing pottery in the kiln, then using a special technique to immediately burn in strings of hair collected from the tail and mane of horses at Rosewood Ranch. The hair, laid down one by one, is consumed by fire and it twists and turns to create unique lines and marks throughout each piece. 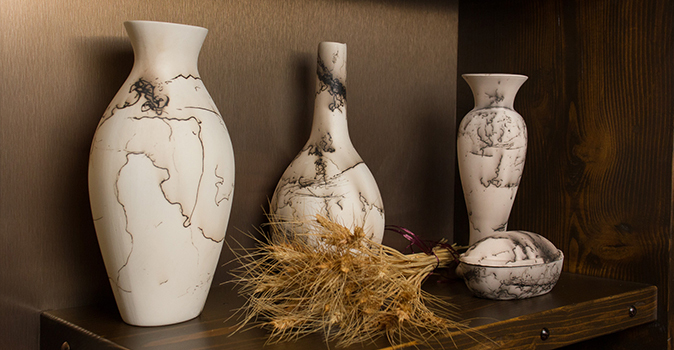 Client-employees use science and art to create amazing pottery pieces that can never be duplicated.